Dracena Cinnabari, is a tree that is native to Socotra, which are four small islands in the Indian Ocean. 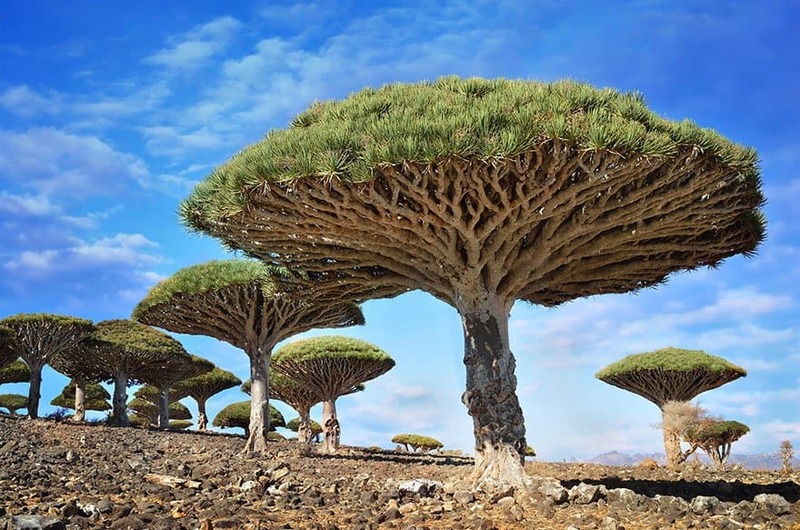 The trees are also known as Dragonblood trees and as seen in the image, have a umbrella-shaped top, with leaves that measure up to 60cm long and 3cm wide. 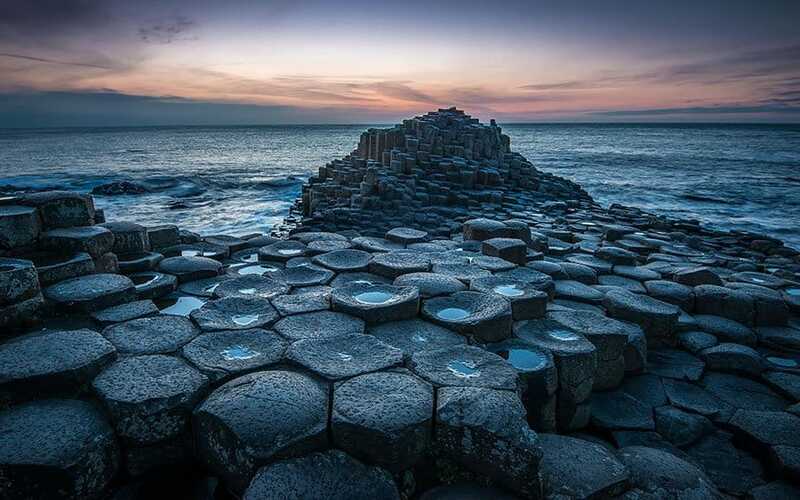 50 to 60 million years ago, a very strong volcanic activity occurred in Count Antrim, Northern Ireland, which formed a group of around 40,000 interlocking basalt columns, most of these columns are a hexagonal shape, some of the tallest are about 30ft high and 92ft thick. 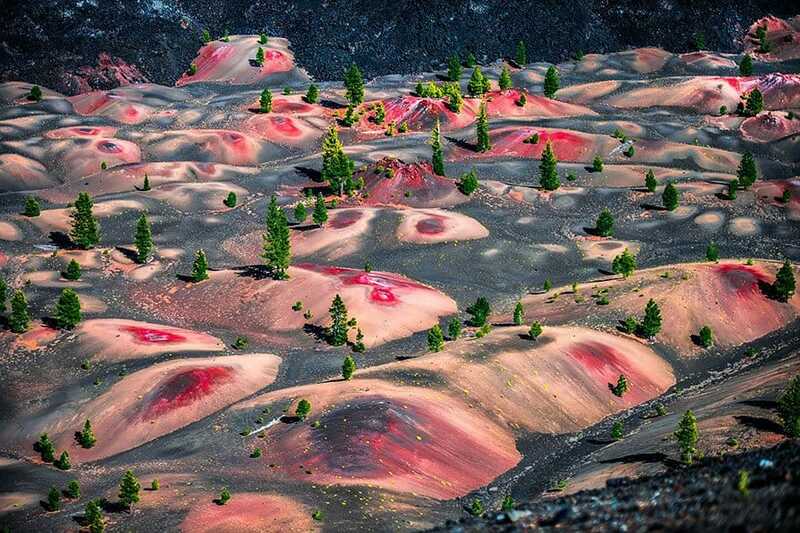 These dunes are known as the Painted Dunes and are located in the Lassen Volcanic National Park, Northern California. These dunes are a result of a volcanic eruption, and can be seen from the top of the Cinder Cone, also located in the Lassen Volcanic National Park. 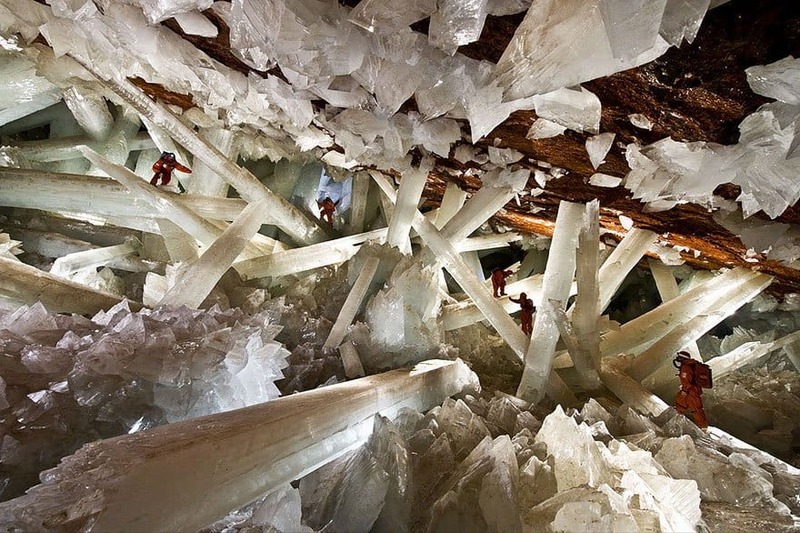 Although, this picture looks similar to Superman’s Fortress of Solitude, it is actually a mine that is location in Mexico, known as the Naica Mine. The mines contain crystals of selenite (gypsum) as large as 4ft in diameter and 50ft long, it also contains other elements such as lead, zinc and silver. This mine was largely underwater until it was drained, and has extremely high humidity levels. Due to this humidity, paired with the high temperatures, personnel are required to wear specialized equipment and cannot be down there for more than 30 minutes at a time. 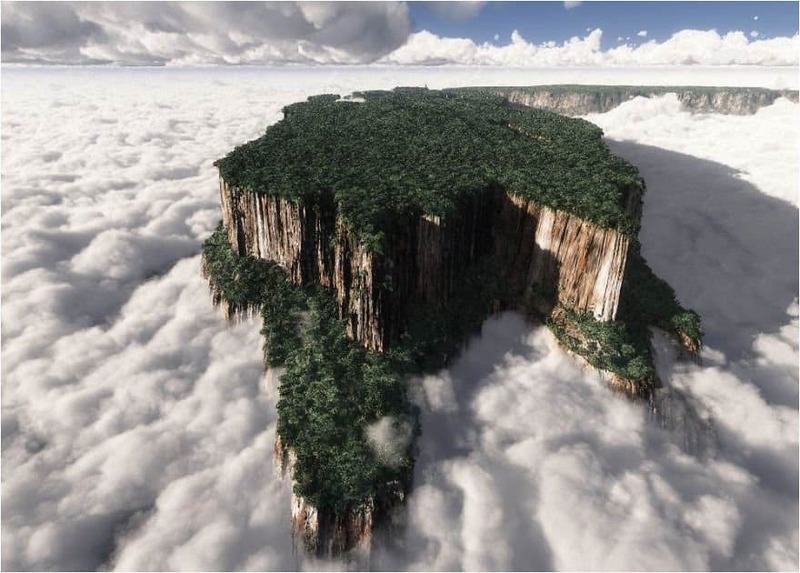 Mount Roraima is the highest of not only the Pakaraima Mountains but also the Guyana’s Highland Range, located in Venezuela, South America. The mountain consists on the sides of cliffs that are 1,300ft high, it also serves as a triple border point of Venezuela, Brazil and Guyana. 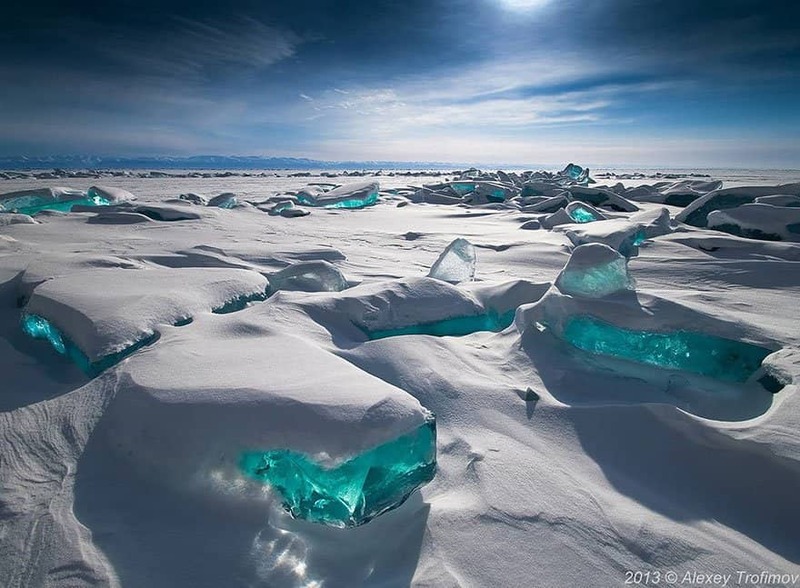 Lake Baikal, found in Russia, is the largest, clearest and the oldest freshwater lake in the world, which contains around 20% of the world’s unfrozen surface fresh water. The lake was formed as an ancient rift valley, and is home to more than 1,700 species of plants and animals, some of which cannot be found anywhere else in the world. 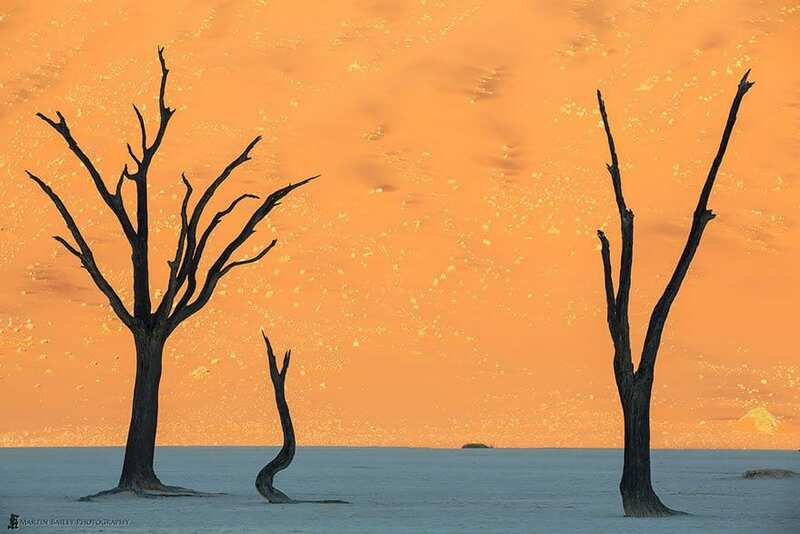 The Namib Desert in South Africa, stretches for more than 2,000 kilometers consisting of sand seas near the coast, and gravel plains and scattered mountain outcrops further inland of the desert. Numerous unusual species of plants and animals have been found in the Namib, one of the plant species can be seen in the image above. 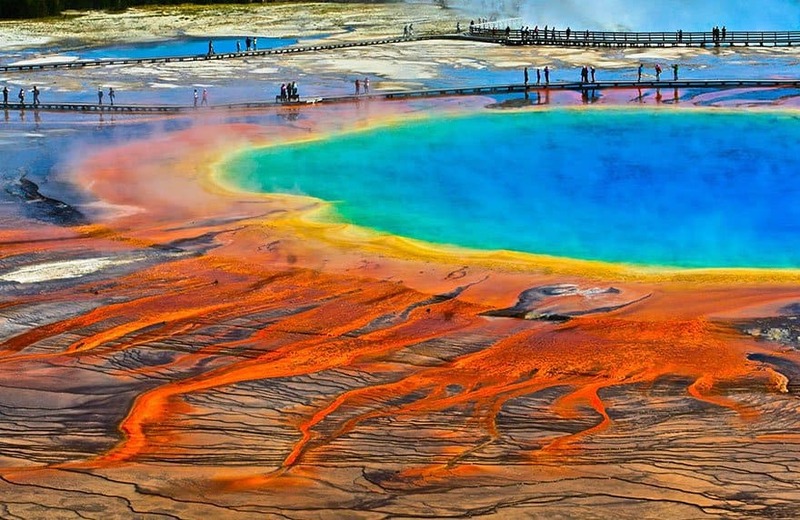 This may look like a lake for Mars creatures to swim in, but it is actually known as the Grand Prismatic Spring is located in Wyoming, USA, and is one of the largest hot springs in the USA, and the third largest in the world. It is approximately 250-300ft in size and 160ft deep. Salar de Uyuni is the world’s largest salt pan, located in southwest of Bolivia, it was formed as a result of several prehistoric lakes reconstructing. 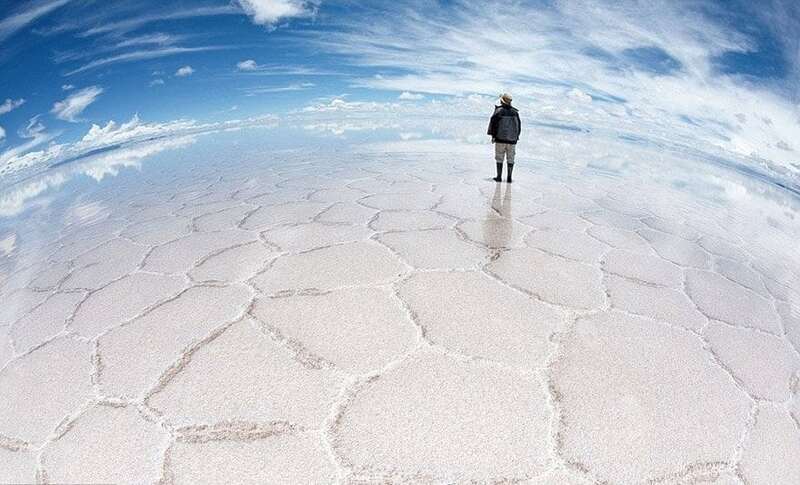 The salt pan is 10,582 square kilometers, and is at an elevation of 12,000ft above mean sea level. 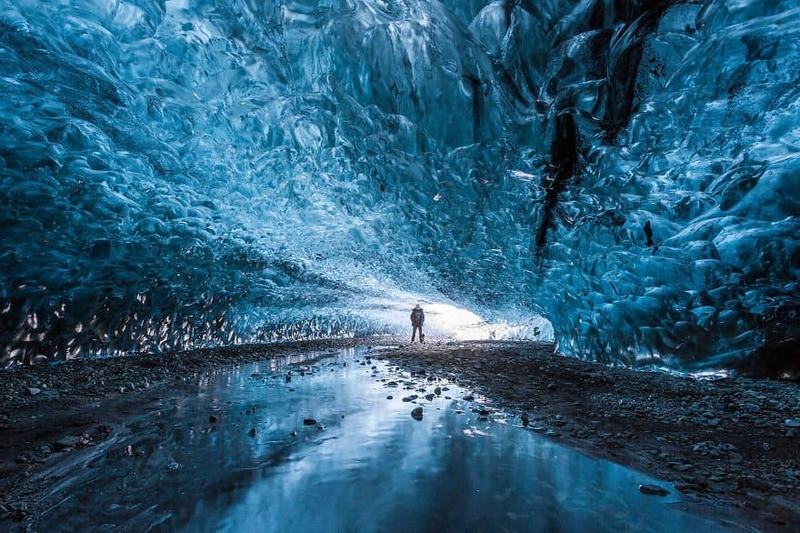 In Skaftafell, Iceland, during autumn each year, ice caves begin to form and last throughout winter, and are only safe to enter in winter as they are unsafe during other seasons and can collapse at any time. Tourists are able to walk through the cave through a 22ft entrance, as you get to the end, it comes to a squeeze and is no more than 4ft high. 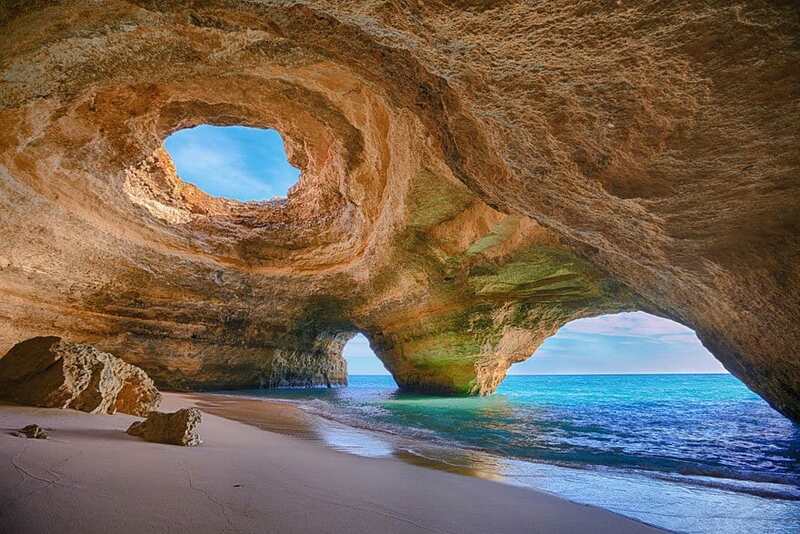 The Algarve sea cave is the most popular tourist destination in Portugal, it has two entrances and the bottom of the cave is filled with beach sand, when looking up you can see through a hole that is known as the ‘window to the sky’. 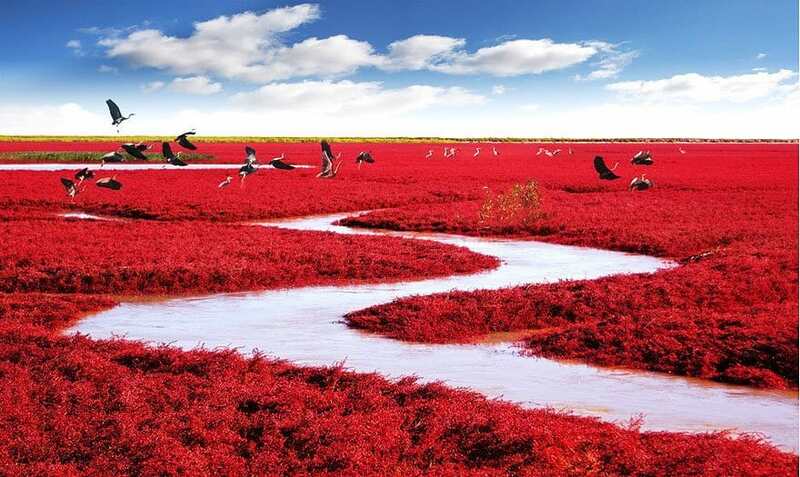 A grass species known as Sueda is one of the few species that can live in alkaline soil, this grass has overgrown in Dawa County, Panjin, Liaoning, China, and is based in the biggest wetland and reed marsh in the world. This makes it look more like a beach, this giving the area the name ‘Red Seabeach’. 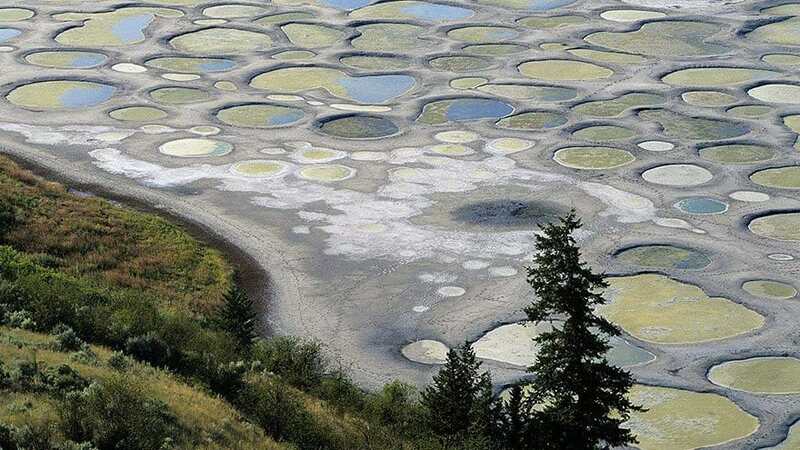 The Spotted Lake is a saline endorheic alkali lake and is located just outside of Osoyoos, Canada. 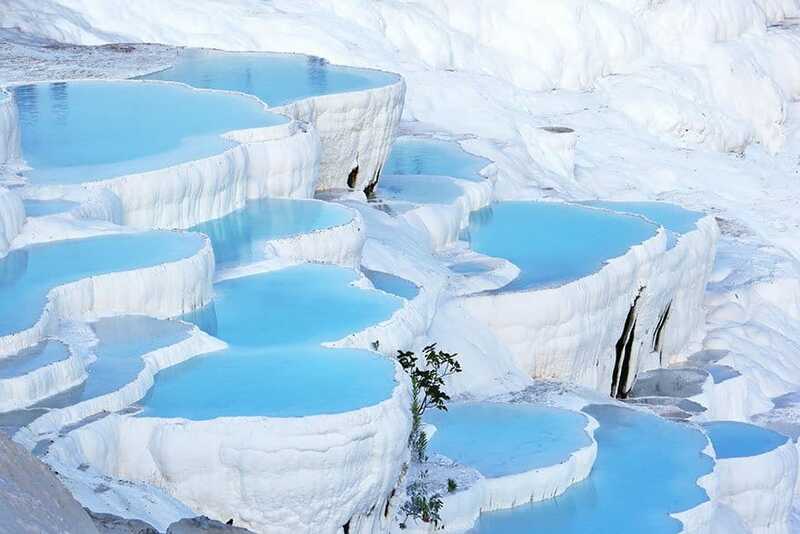 The lake contains various minerals, such as magnesium sulphate, calcium and sodium sulphates, it also contains silver and titanium. Most of the water in the lake evaporates over summer, revealing the minerals, making it look colorful. Large spots appear on the lake and are colored according to the mineral composition and seasonal amount of precipitation. Some of the minerals in the lake harden, forming walkways around and between the spots. 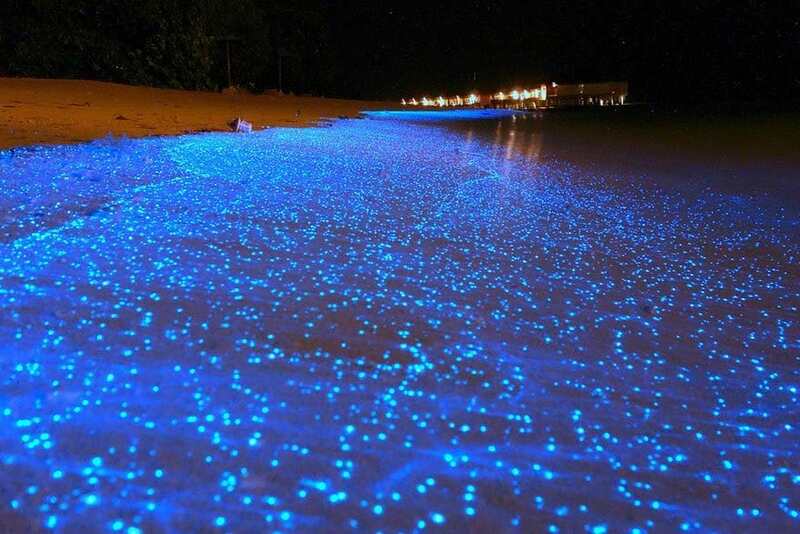 A beach in the Maldives, known as the Glowing Beach, literally has waves that glow when they hit the beach. 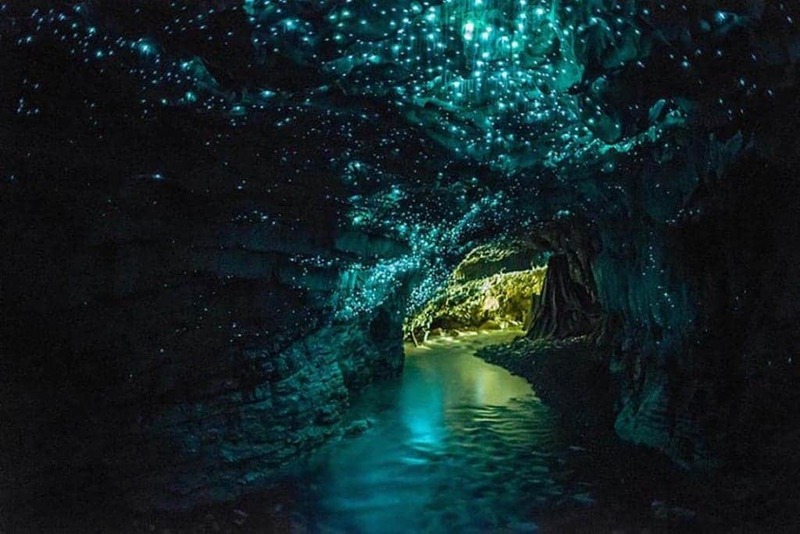 Some species of phytoplankton are known to bioluminesce for self-defense, even though the light would make them visible to things that are likely to eat them. They only produce the glow when they sense something that may consume them, but this can also be triggered due to waves or footprints. 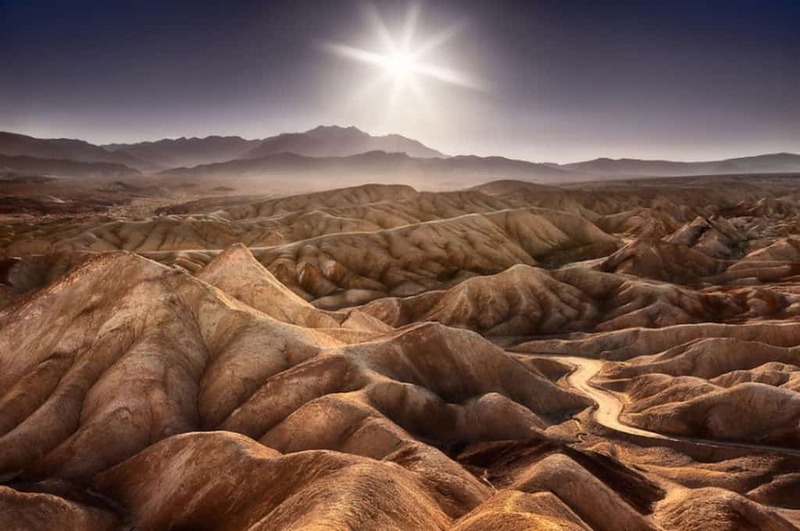 Death Valley is a desert valley, known as the lowest, driest and hottest area in North America, the valley is located in Eastern California. The valley’s Badwater Basin is the point of the lowest elevation in North America, which is at 282ft below sea level. 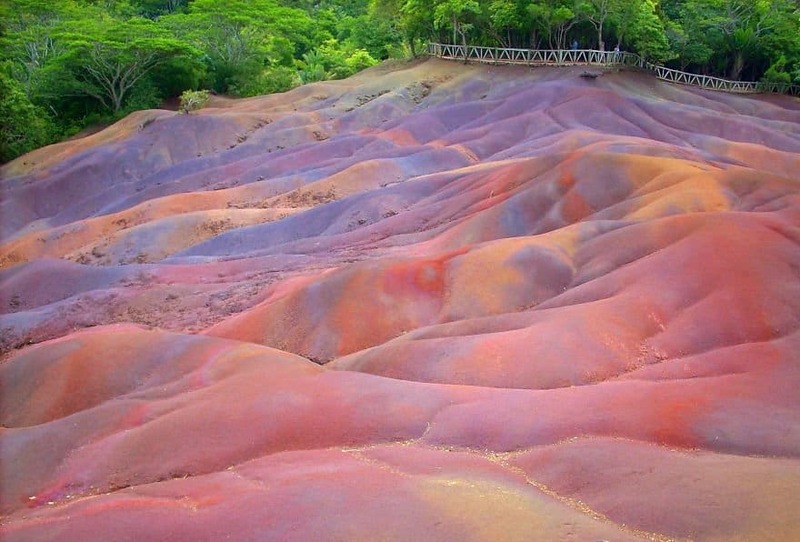 The Seven Colored Earths are a geological formation found in Mauritius. 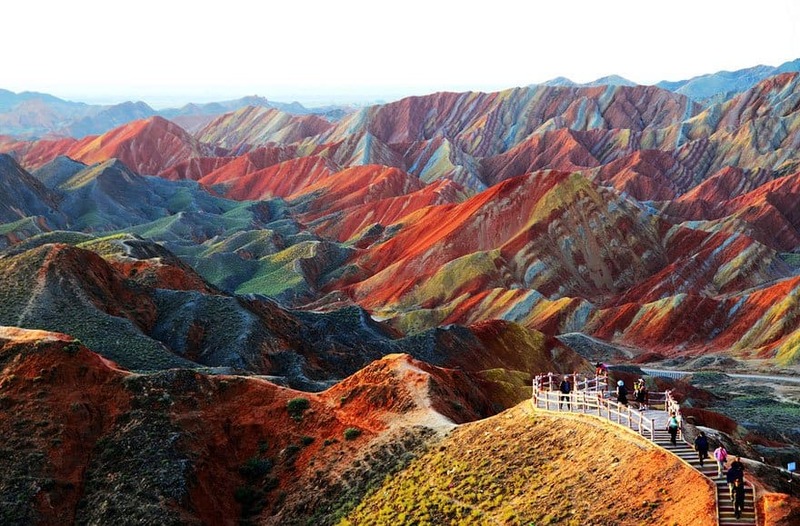 It is a small area of sand dunes that contain seven different colors, red, brown, violet, green, blue, purple and yellow. 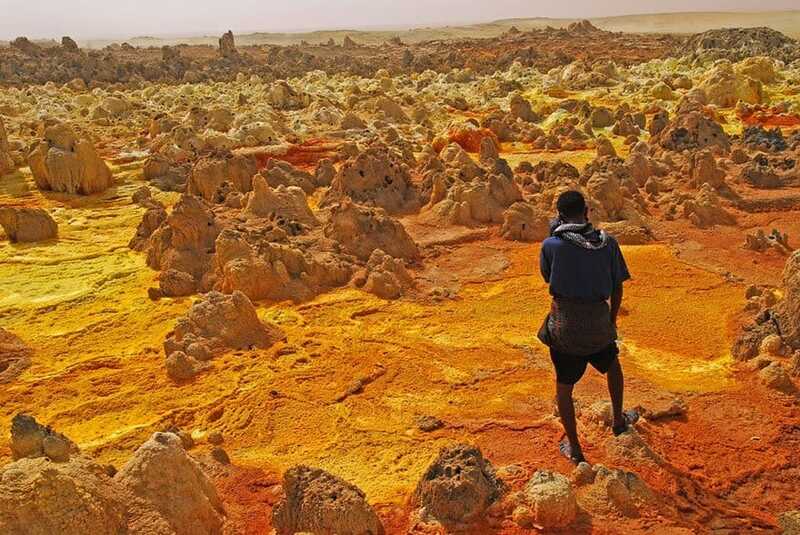 The sands have formed over time from the decomposition of volcanic rock gullies into clay, and the different colors have been said to be the consequences of molten volcanic rock cooling down at different temperatures.